Eddie Branquinho was elected to the District 4 seat of the Palm Coast City Council in November 2018. Council Member Branquinho is a retired police detective commander in Newark, New Jersey, who has lived in Palm Coast since 2010. He has been active in sports and civic leadership for more than four decades. 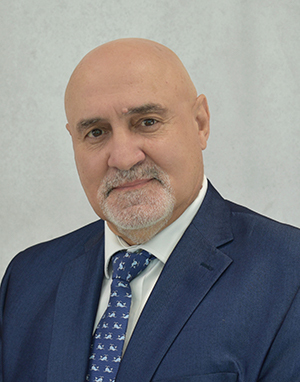 A past president of the Portuguese American Cultural Center of Palm Coast, Council Member Branquinho helped establish the Portuguese Honorary Consulate in Palm Coast. When he lived in New Jersey he served as a commissioner of the Elizabeth Board of Education. He is married to Dina, and he has two grown sons and two granddaughters.